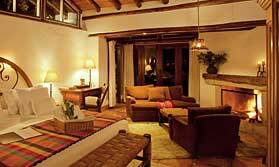 We are delighted that many couples come to us for their honeymoon arrangements. 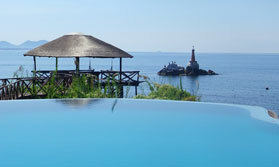 We love helping plan luxury tailor made honeymoons. Some of the countries we work with even allow you to have the wedding ceremony there, so combine the wedding and honeymoon! We can also arrange for renewal of wedding vows on holiday. We’ve been party to various subterfuges and exciting secret plans, as well as some very last minute cries for help from couples who suddenly remembered that the honeymoon wasn’t planned at all. We have been asked for several honeymoon treks up Mount Kilimanjaro (which went very well), but usually the requests are of a more recognisably romantic nature! Luxury safari and beach honeymoons are of course popular but there are some exciting, unique and romantic bush lodges, tree houses and private villas around the world which are also perfect for your luxury tailor made honeymoon. 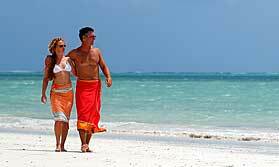 Below are a few honeymoon holiday ideas to give you food for thought for your special tailor made honeymoon holiday. However, the best way to really get what you want is to call us for a chat. As well as arranging your honeymoon we can also offer a Gift Voucher service, so that family and friends can contribute towards the cost of the honeymoon. We try to keep it as simple as possible for you. When the honeymoon has been booked we will send you an information sheet about how the service works, including our contact details and your chosen cut-off date for contributions. This information can be passed on to family and friends. Anyone wanting to make a contribution can contact us directly. We take their payment, issue a voucher which can go to them or directly to you, and we take off this amount from the balance payment due on your trip. If you get more than the trip cost, you’ll get a cheque for the difference. That’s it in essence, but, being a small company, we can adapt this service to suit individual circumstances, so we welcome any comments and suggestions and will try to incorporate these. 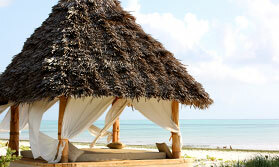 Escape to the Indian Ocean island of Zanzibar for rest and relaxation! 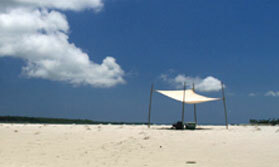 Spend time on a tropical Indian Ocean island. 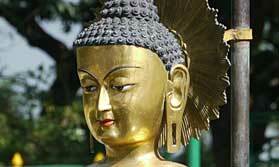 Submit to the gentle rhythm of life, easy and unhurried. 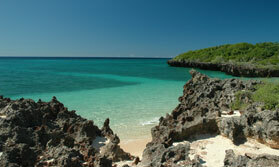 Escape to a small tropical island in the Indian Ocean! 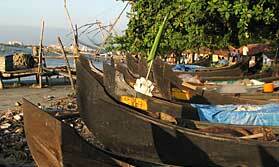 Spend a week on an Indian Ocean Island, warm seas, delicous food on the banks of a small lagoon. 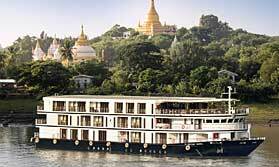 Experience life on board a luxury cruise ship on the Irrawaddy River, visiting ancient temples & pagodas, & witnessing scenes of rural life. 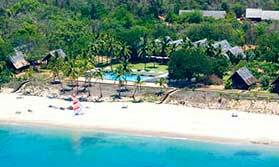 The good value safari and beach combination, with ample spent time in both locations. 5 nights in a luxury beach lodge on the Indian Ocean. Miles of stunning wild beach backed by dunes. 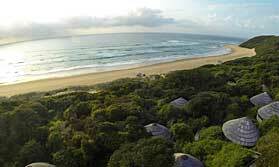 24 thatched suites with private balconies, in the dune forest. 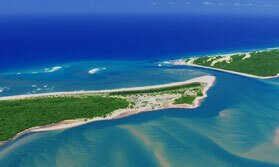 Experience the wild, natural beauty of northern Mozambique, staying in two delightful lodges you're sure to love. 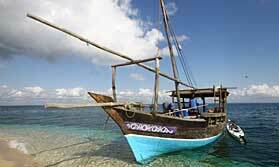 Explore the beautiful Quirimbas Archipelago, camp under the stars, cruise in your own dhow. 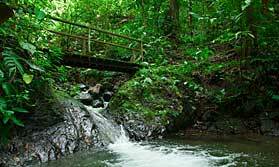 Enjoy the excitement of Rio before arriving at your own private paradise on the Costa Verde. 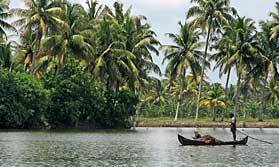 A great introduction to southern India, this holiday will give you a glimpse into daily life and awaken all your senses. 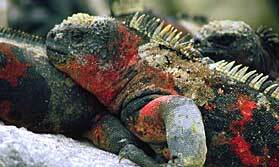 Traversing this small country you'll be amazed by the richness and variety of the scenery and wildlife. Tanzania safari in Selous, and on the beach on Zanzibar. A great trip for an unbeatable price. 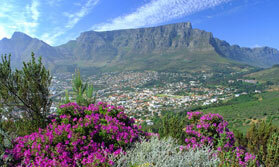 One of our most popular safari and beach holidays. Great value, yet with excellent guiding and good accommodation. 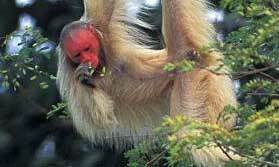 Exciting wildlife viewing in Selous Game Reserve. 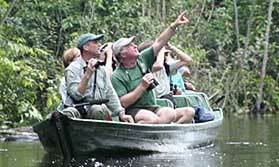 Boat safari on Lake Tagalala. 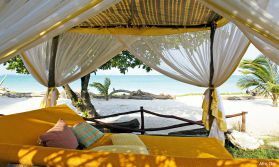 4 nights in a Zanzibar beach resort. 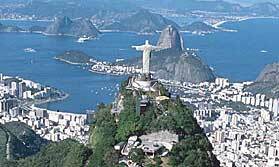 Rio, the Amazon and the best beaches in Brazil, with plenty of time fully to experience each place. 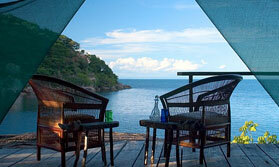 This 2-centre Malawi holiday is a perfect safari & beach combination, staying in lovely locations. Relax at two of the very best hotels. 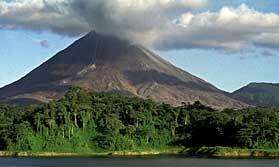 Enjoy the great outdoors and Costa Rica's amazing nature at Arenal and Golfo Dulce. 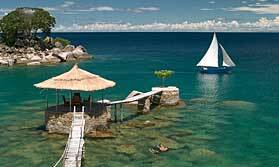 Escape to the beaches of Lake Malawi to chill out and enjoy watersports. 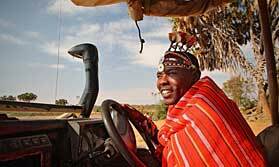 A 2-centre safari with expert Samburu and Masai guides, a superb wildlife and cultural experience. 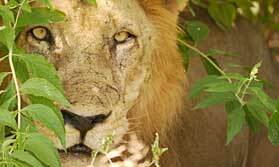 Superb wildlife viewing in two diverse areas - Samburu and the Masai Mara. Annual Migration is from July to October in the Masai Mara. 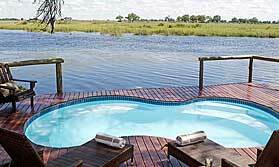 Gorgeous lodges in exclusive private reserves. 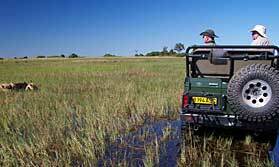 Night drives and bush walks allowed in private reserves. Families can include a half to 3 days of the Warrior Academy at no extra charge. Optional helicopter or hot air balloon trips. 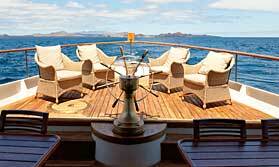 Experience the Amazon from the comfort of your a motor yacht plus explore the exciting city of Rio. Chances to swim and snorkel, often with curious seals! From Victoria Falls to Chobe and the Okavango Delta and on to Nxai Pan.